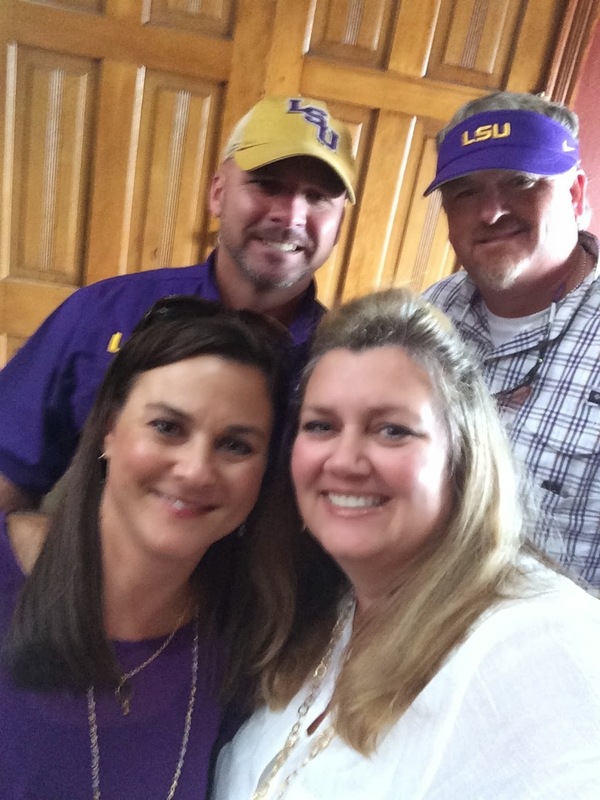 Mojoy: LSU... visiting our MA! Let's take a break from my transformational weekend and go on another little road trip! Hey... my word for the year is "Explore", so I made a commitment to myself!! My exploration is both literally and figuratively!! And for all of you who have been reading my blog for anytime, you know that my two favorite traveling buds are Paula and Tashia. 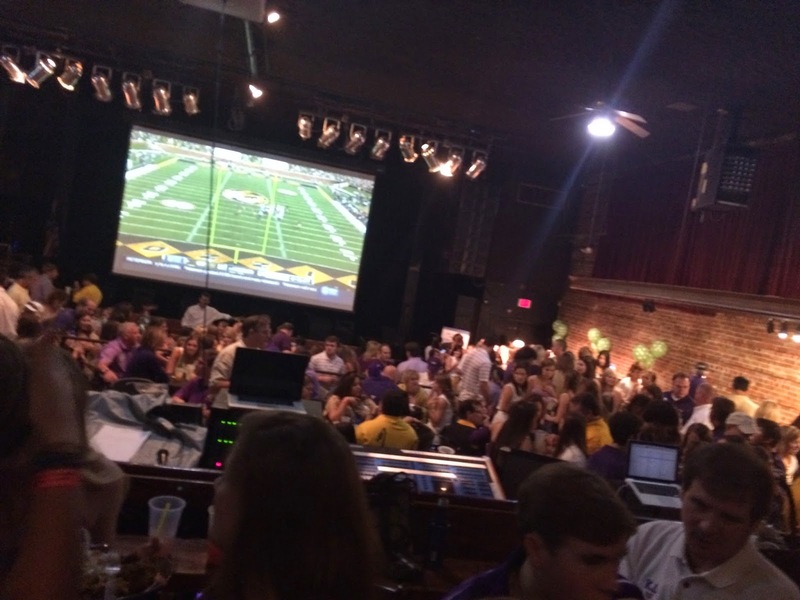 Just so happens, they both have kids at LSU, so trying to get them to head to Baton Rouge to watch the tigers play isn't very hard! The boys were in another vehicle!! 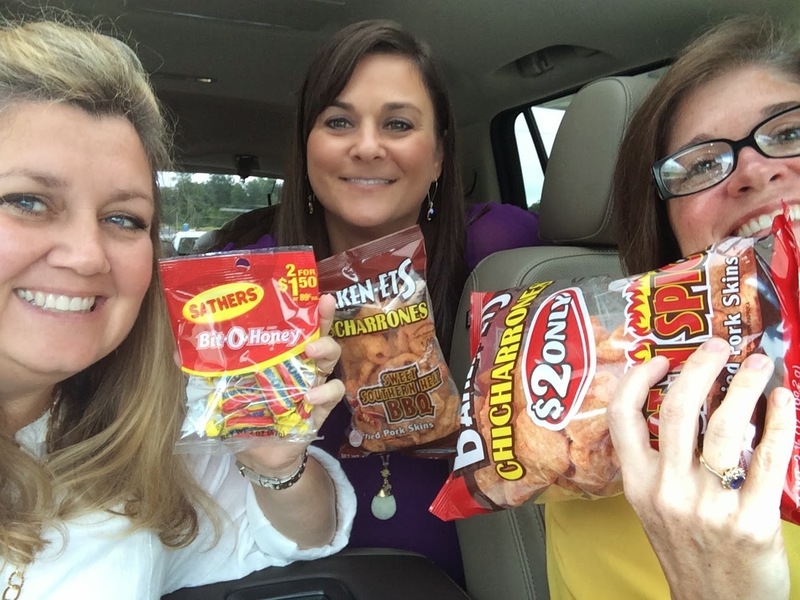 So, we stopped for total crap! I mean, what's a road trip without it, right?! 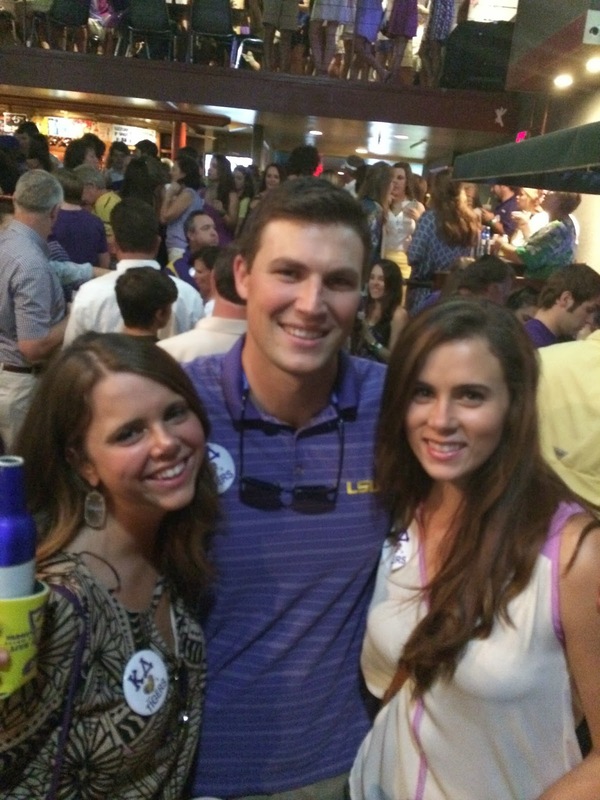 Once at LSU, we ran into this cutie right off the bat. We went to the Kappa Delta shindig. I was drinking red Koolaid. Just sayin'! Todd the Bod and his "other" daughter were happy to see each other! It was Family Day for her sorority. Paula was invited by her son's ex-girlfriend to come visit. She recently pledged KD. We were there to share the day with our sweet Mary Allison! We were secondary, of course. 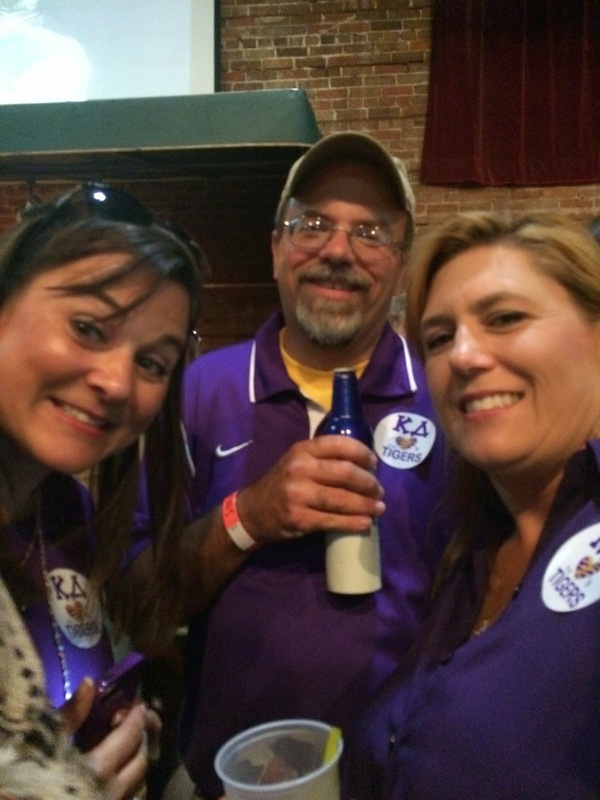 Her sister, Elaina, and brother-in-law, Ryan came up from New Orleans to support her. And this is a few cups of Koolaid into the evening. That's Mary Allison's dad, Jay, in the back on the right. 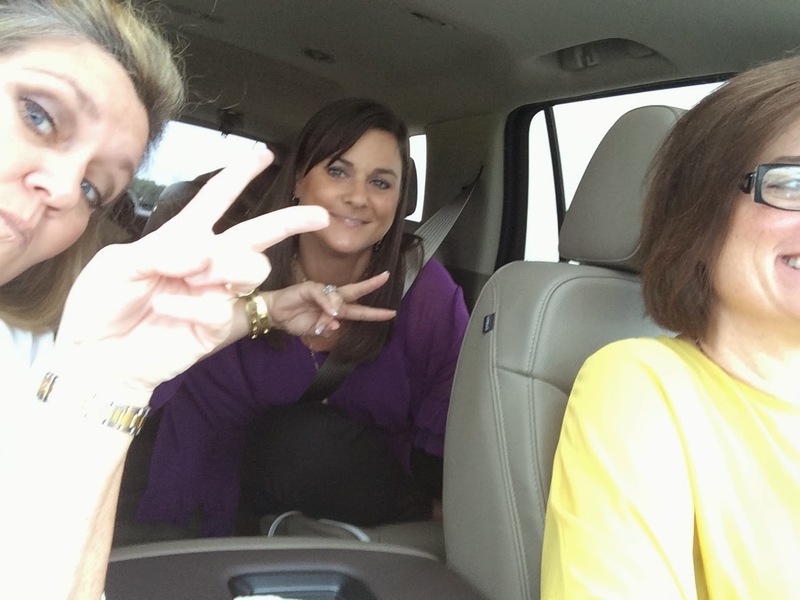 And her stepmom, Staci, in the front right. She is the photographer who has taken almost all of my baby girls' professional photographs since they've been babies. 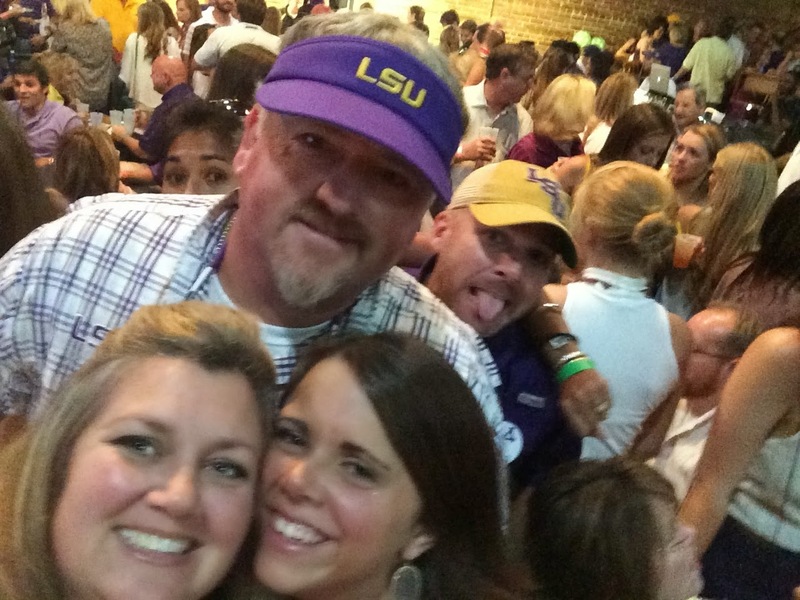 The girl right behind me is Emily and one of MA's best friends at LSU. 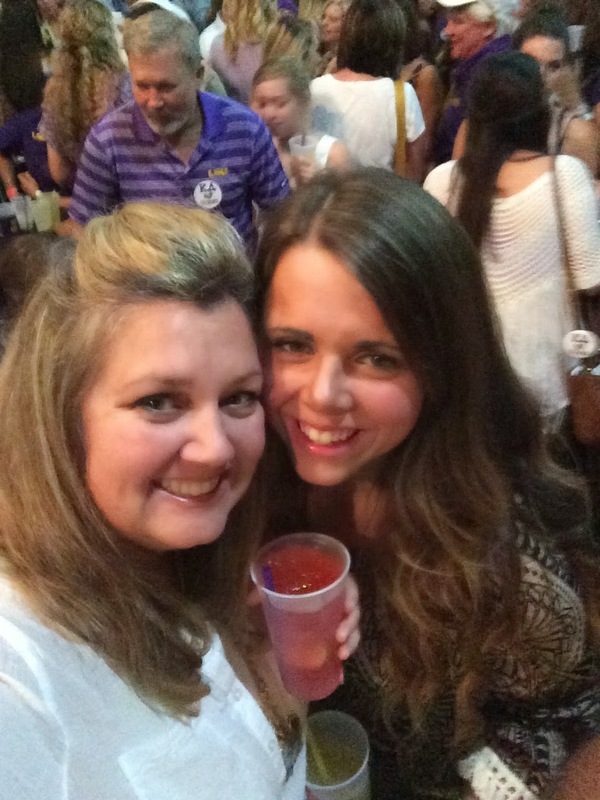 I remember how absolutely fabulous college was, so I am really glad that she is making the most of this experience. And I can vouch... she IS!! On the way down, on one of my pre-programmed XM stations, Push It Radio (haha), Look at the title of the song that came on. It was meant for me! 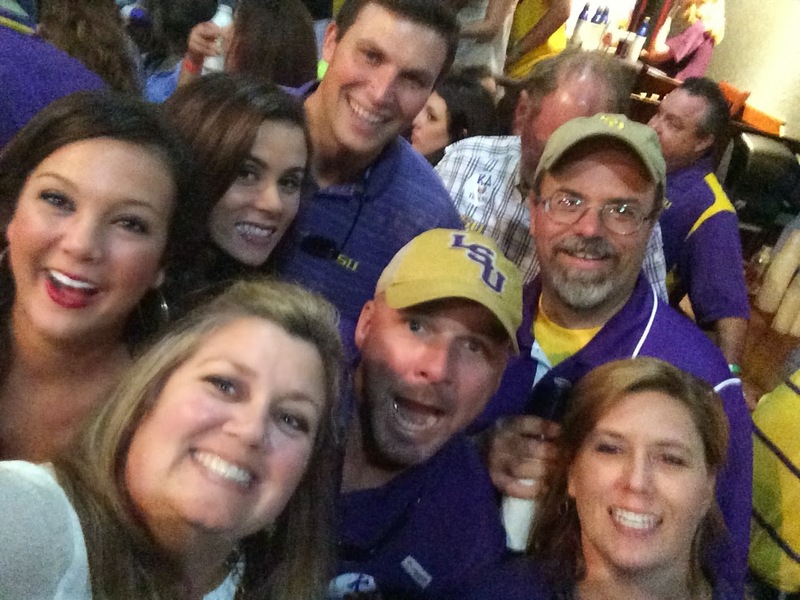 This crew was taking Baton Rouge by storm! The place was PACKED. 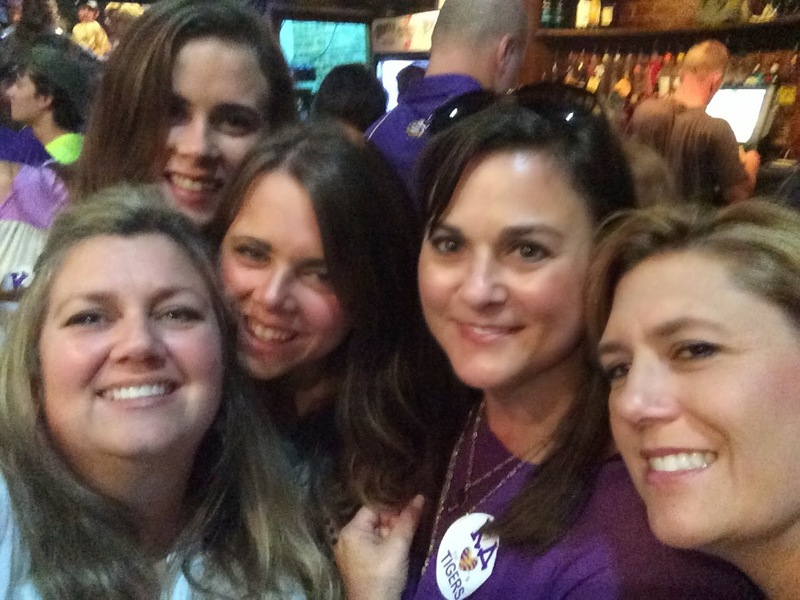 And I know MA was so excited to have so many of her home peeps in town to tailgate with her. 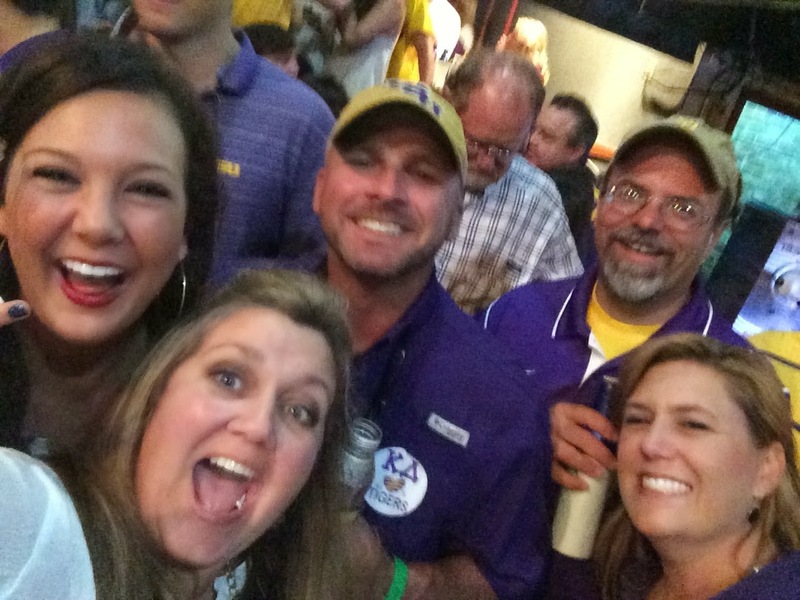 I have lots more pics to share... and tomorrow, we'll actually tailgate and get inside Death Valley! I love my high energy, fun-loving, EXPLORING friends! !